While Eric Liddell was the inspiration for the award-winning movie "Chariots of Fire", his life away from athletic competition was even more compelling and held an influence that reached all the way to a Japanese internment camp in China. This biography is the fascinating account of Scotland's beloved Olympic champion whose greatest race was for an eternal prize. 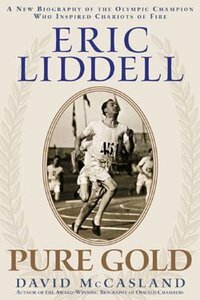 About "Eric Liddell: Pure Gold"
David McCasland is the author of the award-winning biography Oswald Chambers: Abandoned to God.